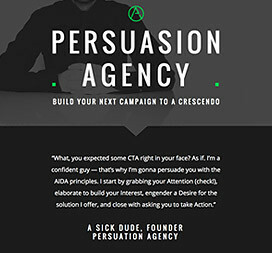 Multi-purpose lead gen page with the right balance of all 5 landing page elements: unique selling proposition, hero shot, benefits, social proof, and call-to-action. 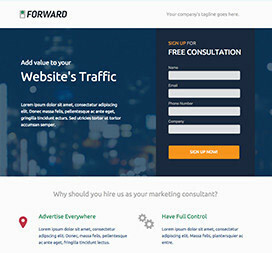 This lead gen theme is perfect for agencies and consulting firms. It uses high-contrast and large typography to put the focus on your brand’s value proposition. 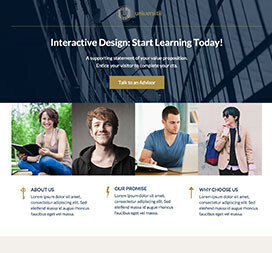 Perfect for agencies, freelancers and other service providers. 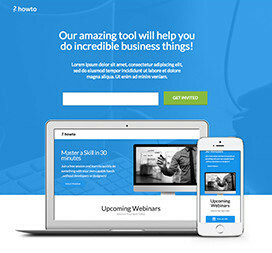 This clean theme puts the focus on your message and encourages action with a bold signup form.